It’s been about a year since I started really implementing a capsule/curated closet and I can finally say that I have it down! It’s never perfect, because nothing is, but the freedom it gives me to get dressed each day is amazing. 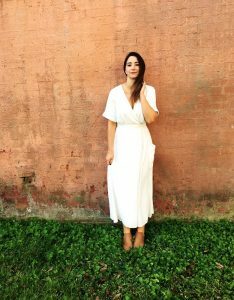 I had to take away the excess and really dial down what I reach for and WHY, as well as let go of what I should be wearing or succombing to impulse buys. Turns out, I really like wearing a lot of nuetrals. I feel my best in them and they mix and match together so well. I love accessorizing with fun jewelry, mostly dainty layered necklaces and cute earrings in all three of my peircings. I like the ease of having less items that I absolutely love and adore and hate when they are in the laundry. I also love planning my future capsules. 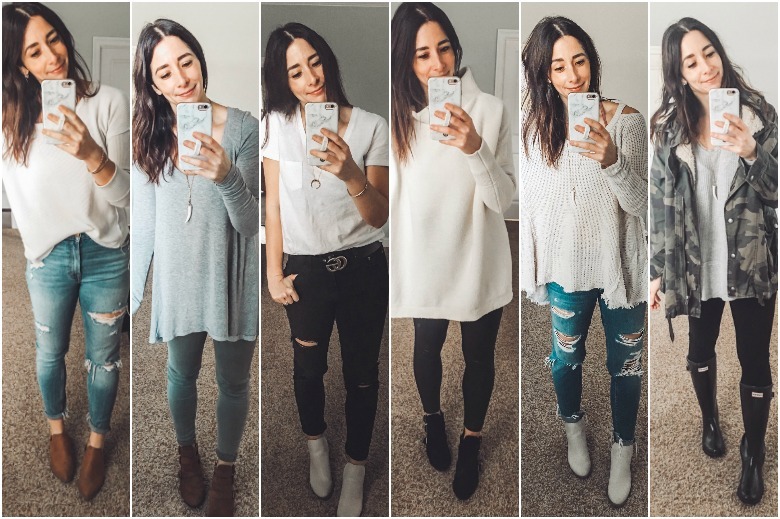 Scouring Pinterest (come check out my style board here), making lists, and looking to see what I wore last year, and in particular, WHAT did I like about it? I really like implementing a uniform system, it makes getting dressed really easy, and I can shop better as well knowing the pieces I love and the color palette I prefer. It turns out that my style is not particularly flashy or exciting. It is simple and streamlined, and more importabtly, I feel REALLY GOOD in all of my clothes. Even if my favorite look is simple denim and a white top, it makes me feel amazing and happy and comfortable, and who doesn’t want that? If you are interested in starting a capsule wardorbe, I have a free guide I put together that gives you step by step instructions on how to start yours. It is so full of information, and is basically my way of holding your hand through the entire process. You can get that by signing up below!